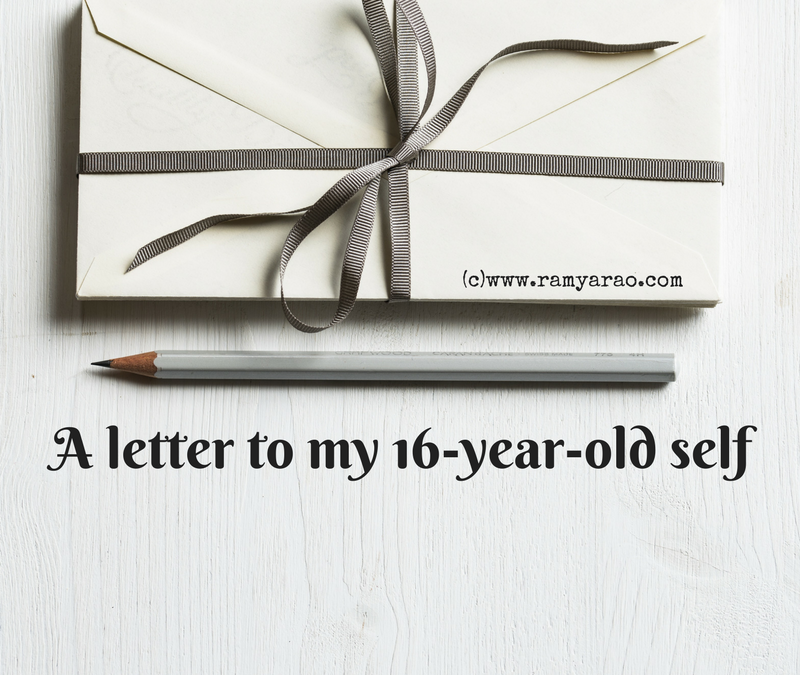 I pen this letter to my 16-year-old naive self, who wanted to skip all those years and grow up quickly and become independent as soon as possible. I thought a poem could sum what my heart wanted to say the best. Never forget to love yourself. I can tell you it’s a bit crazy. Or get caught in the rat race. But remember marks isn’t paramount. It isn’t for life but to just count. For you are naive and unaware of world’s ways. But I would tell you to take it easy, gently. And after every night comes dawn. Never forget that you are strong and capable. Most importantly never ever give up. I thought a lot about what to write and I decided to write letters. There would be 8 letters this month in the form of poems to things or people close to heart. I am taking My Alexa rank to the next level with Blogchatter . Mast…all the best for Alexa Ranking. I think most of us want to grow up sooner than we have to, and we forget that we need to enjoy the moment too, so it becomes a fond memory later on. 🙂 nice poem. That’s a lovely poem and what a wonderful series this is going to be. You know, Ramya – we all want to tell so many things to our younger selves. Life teaches us many lessons all along. Beautifully expressed, Ramya. I wonder what I would say to my 16-year-old self! Probably the same as you said. Take it easy, tread gently, but don’t fail to enjoy life at every step! Lovely poem, Ramya….I added a few more words to yours – and these would be for my 16 year old self! Life just goes on. That’s one thing we should remind our younger and ven older self’s. Beautiful words. That’s lovely and such a sensible letter to write. If only we knew then what we know now! Simply Awesome.The way you expressed your feel is mind blowing.